Ford engineers in a prototype for the 2010 Ford Fusion hit the road with its normal grille-covering camouflage removed. Our sole shot is not definitive by any means, but it does give us our clearest look yet at the next Fusion's new mug. 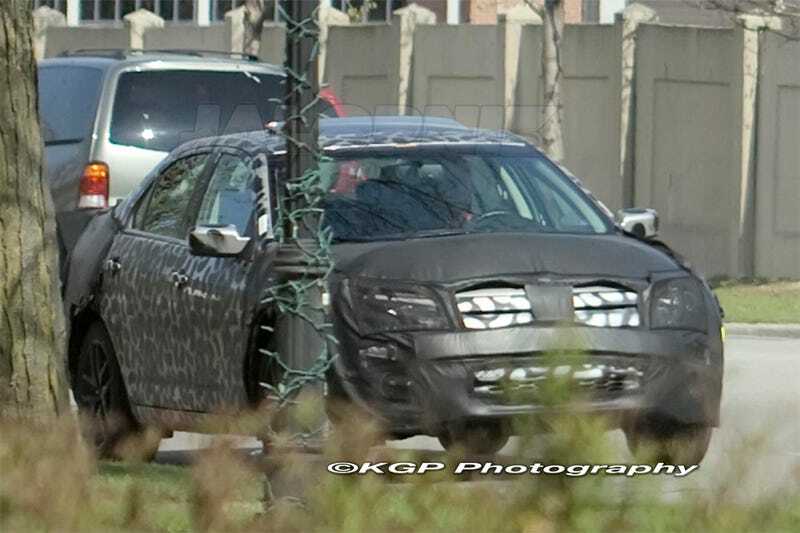 It appears that the three-bar grille pioneered by the first Fusion will be jettisoned in favor of a two-bar upper grille design, with a new large honey-comb mesh treatment to the lower air-intake. Additional mesh intakes reside wide at the corners of the front bumper.